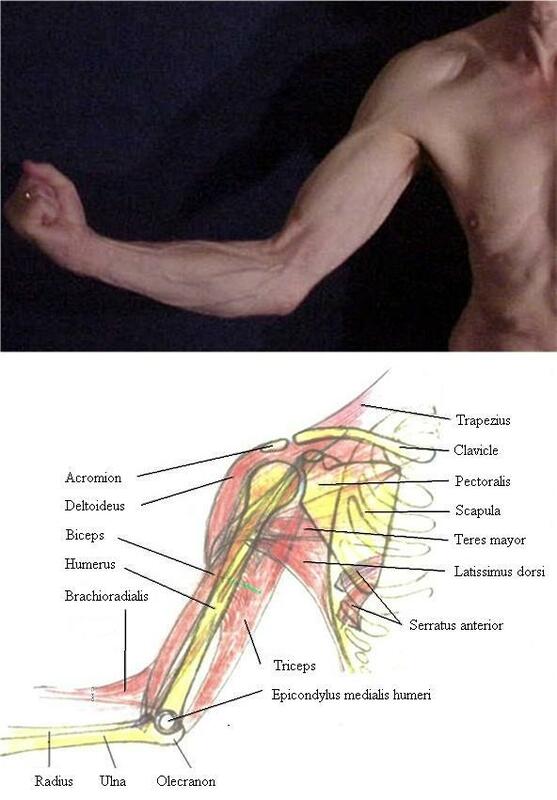 The upper border of the arm is formed by the deltoid and the biceps, the lower margin by the part of the triceps connecting scapula and ulna. The olecranon is clearly visible as a point of repair. The epicondylus medialis is located in front and slightly above the olecranon.